Do you know Ekkehard Zimmermann? Never heard of Ekkehard Zimmermann? Or his company dp motorsport he founded back in 1973? Well, you do know his cars. Only too often it’s the quiet people in the background who are the real heroes, and he is one of them. You can’t beat the combination of handcrafted engineering and race-ready Porsches, now mix in some unchallenged racing history and that quiet man Ekkehard, who’s brain and hands have achieved so much in motorsports. The historic photo, which Gerry just got from ebay, matches the parts on the wall. This is the man himself, showing what he means by “wide bdoy”. See that TOKAI on the wall? But the best thing about it is it’s weight, or rather it’s lack of it: 870 kg. You know what that means for a road legal Pokka. To completely blow us away Ekkehard invited us to his equally beautiful private home, just around the corner. See this monster flowerpot? It is - of course - selfmade from composite materials. This one reads “not allowed for publication” … uups. … from the very early days. Many thanks to all at dp for an unforgettable Friday afternoon. 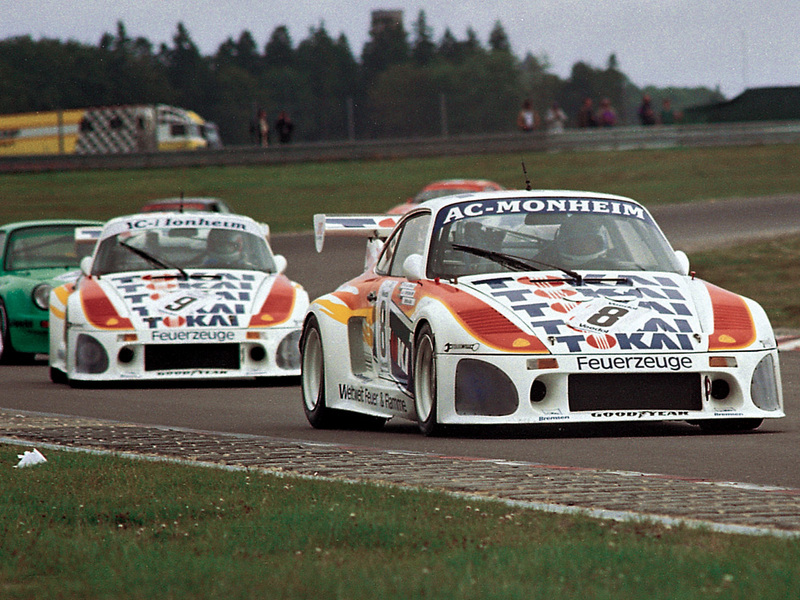 And for that original 935 K4 brochure! If you want to check yourself, have a look at dp-motorsport.de - or even better, stop by next time your a in Cologne. You find dp here.